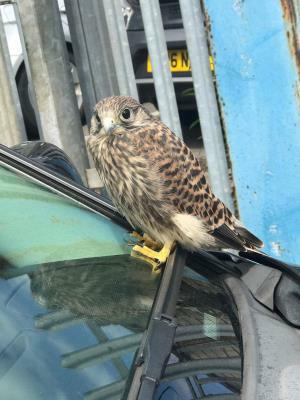 Bird Id - Forum - Identifying Birds - Is This A Kestrel? Forum > Identifying Birds > Is This A Kestrel? Can you please identify the attached. I think it is a Kestrel, but not completely sure. Thanks in advance for your response. Ted. 160 Yes, this is a Kestrel. Possibly a juvenile given its markings and poor choice of resting location.